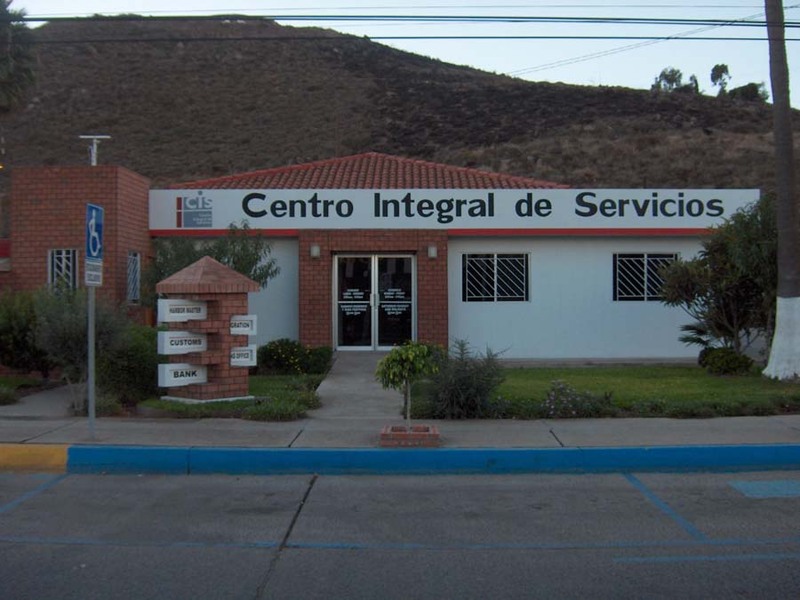 Ensenada has a convenient single office for Immigration, Port Captain and customs. Each has a separate area in the building. If you don't have a visa already you will need to get that first. Then go to immigration, Port Captain and customs. It took us a little over half a day to clear in. Allocate the whole day. The office is located a block or so north of the north end of the Marina. Immigration - no problema, we pays our money and all is good. 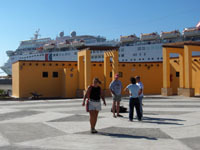 The Capitania de Puerto however, won't clear the boat into Mexico unless we are in a Marina. "OK Capitainia, uno hora por favor " we say. Then we zoom back to the boat, haul up the anchor and move to a guide book recommended marina called "Cruise Port". Ooooouch! 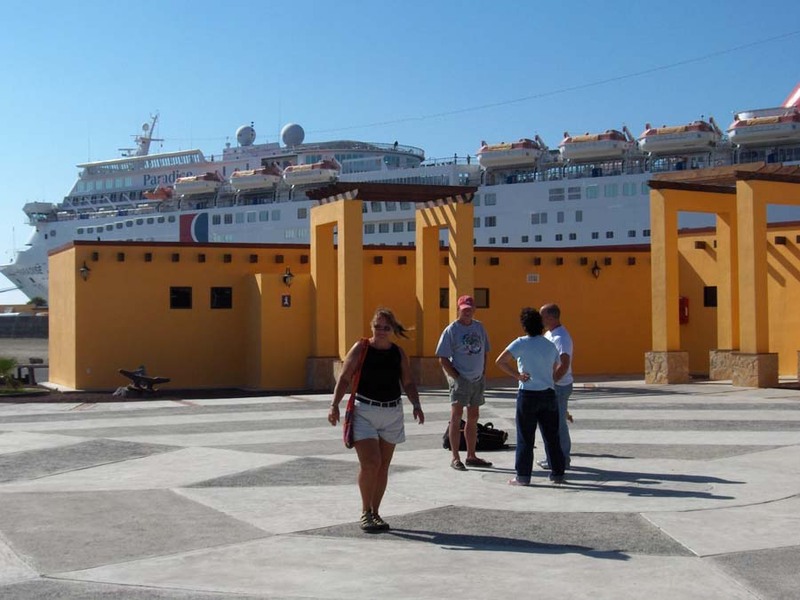 Cruise Port stinks - literally, it stinks! Surely a temporary stink - we hope. Such beautiful facilities would not be here if it stunk all the time. So we choke down the $45 per day rate, sign in and walk the mile and a half back to the Puerto Capitania offices. We get the boat cleared by the Puerto Capitania, but customs want the serial numbers of our engines and some extra copies of forms. The sweet senorita in the Puerto Captinia's office copies the forms. Now back to the boat we go to get serial numbers. Pheeeuuuu! The marina still stinks. Grab our stuff and back to Peurto Capitania's office. Immigration scolds us for importing to much wine, (officially only two liters each), but they look the other way and we bounce over the last hurdle and are cleared into the country. Back to the boat. Whew! This place is ripe. 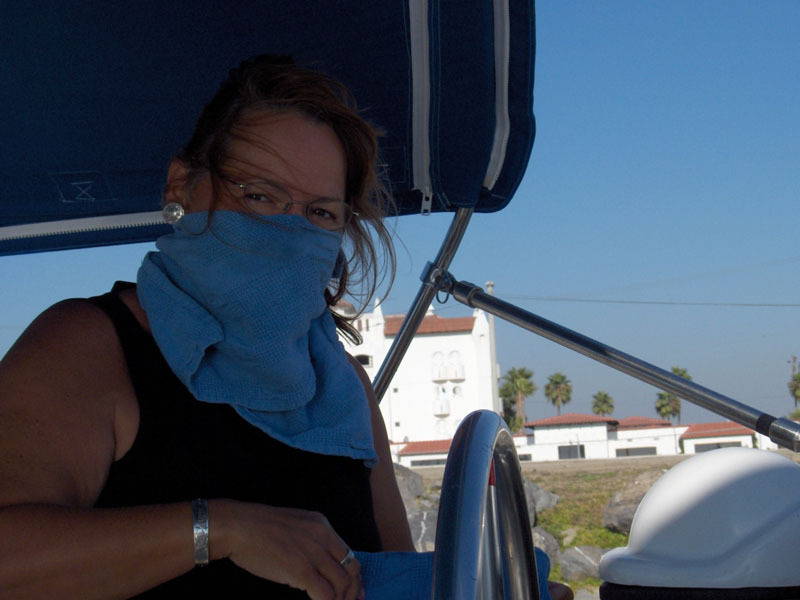 We were anchored for free in a good spot in the harbor and now we are in a very expensive marina where the water smells like sewage, rotting fish and burnt broccoli. We sleep the night with hatches closed and stuffy air. Next morning we have had enough. Wash the boat, load up with water and out of there! Back to our nice anchoring spot. 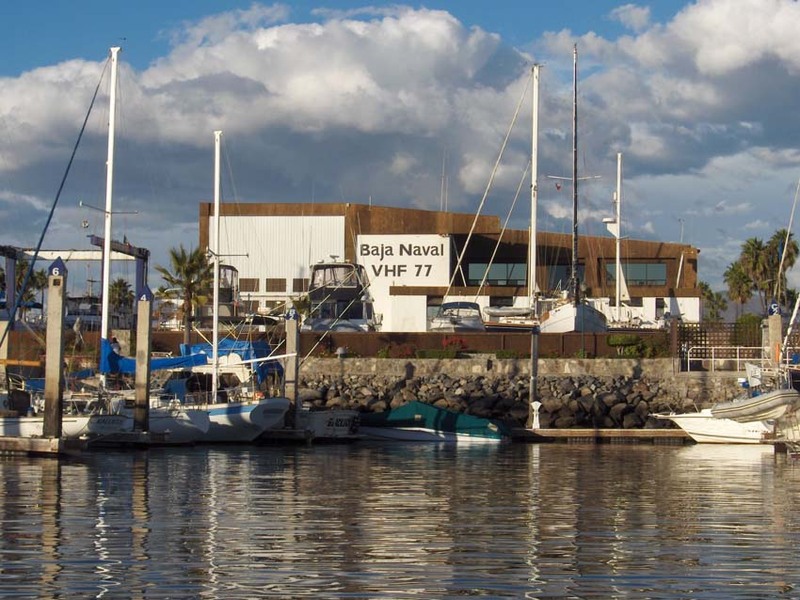 We cut a deal with Roger at Baja Naval, to allow us to use his dock for the dingy, showers and wireless broad band Internet access for 1,000 peso's a day - about ten bucks. A New Marina, just North of Banditos under construction that is willing to cut deals to get people to dock there. These are small marina's with one or two docks, maybe 25-50 boats each. 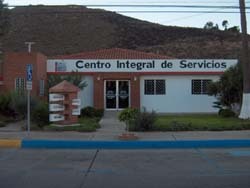 Carral which is a few miles north of Ensenada Harbor is another option.